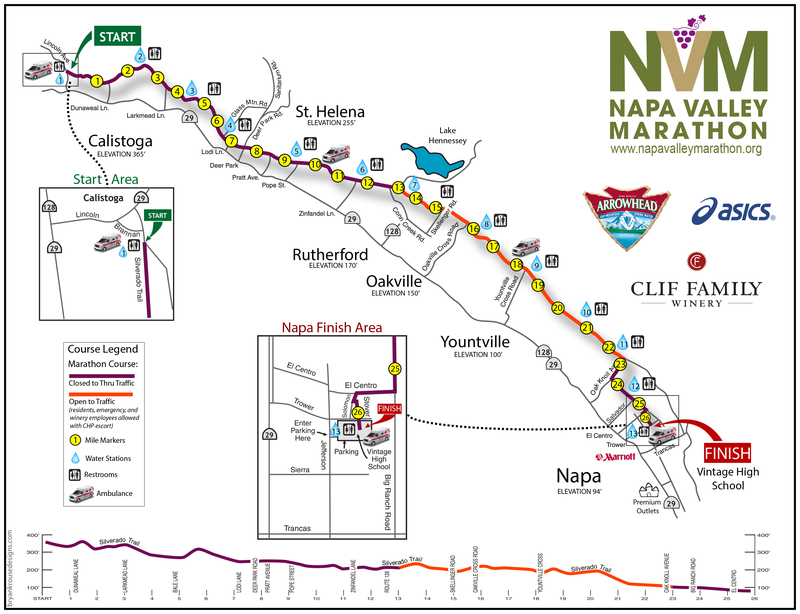 As one of California's top tourist destinations, Napa Valley has been home to this race for decades. When it comes to scenic, it just doesn't get better than Napa in the spring. The narrow valley is covered in grape vines that stretch high up the hillsides on either side. The colors are crisp green, blue and yellow at that time of year. The more than 300 architecturally unique wineries look like castles, mansions, sprawling villas and even sunken flying saucers. 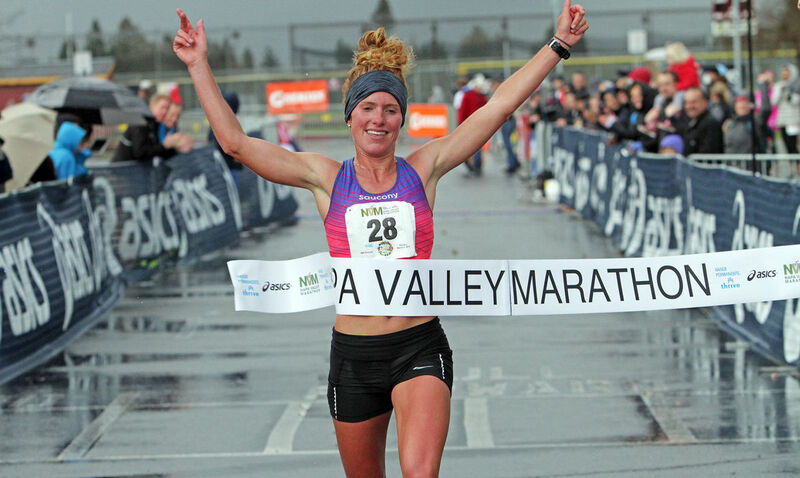 Subject to periodic rain showers but enjoying mostly crystal clear mornings, the race is a favorite, always a sellout and operates with a seasoned cast of running officials so it all goes down as smooth as Napa's finest Cabernet. 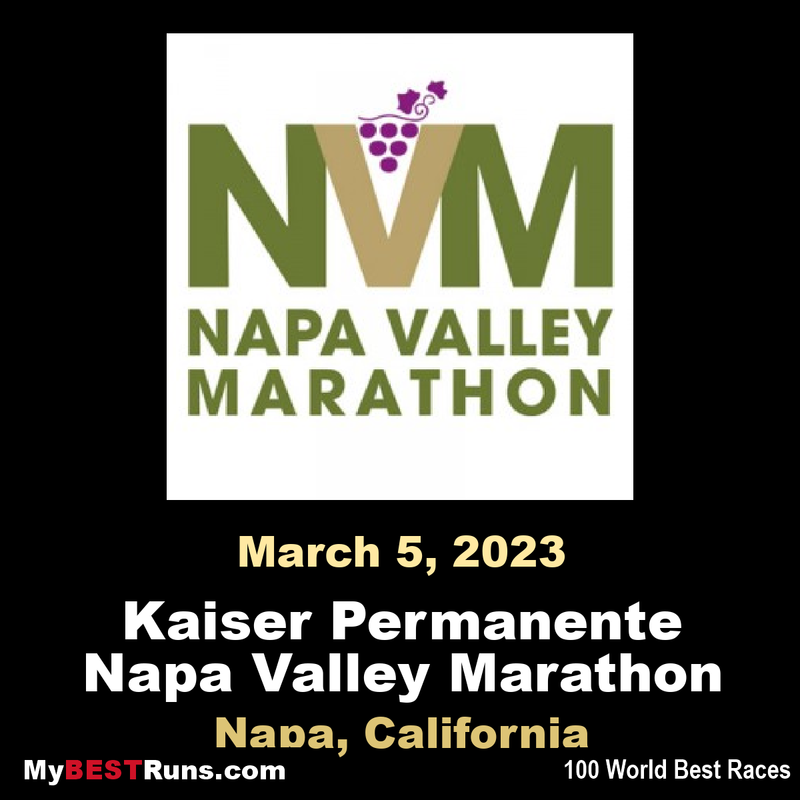 This race is a must-do. One of my all-time favorites. Great two-day expo, great race t-shirts, one of the best goody bags, wonderful course, fantastic medals.